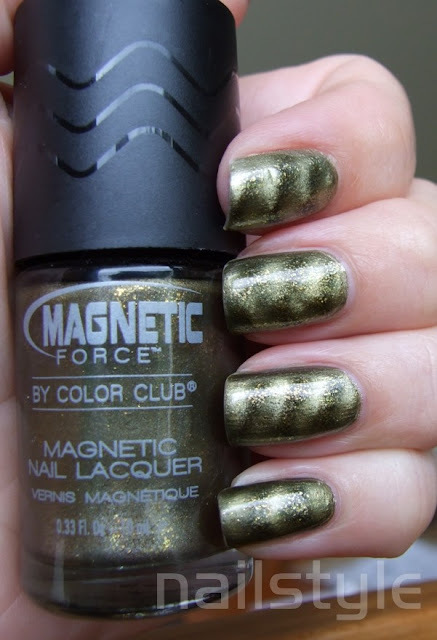 Today I'd like to show you something new to NZ - Color Club Magnetic Force. 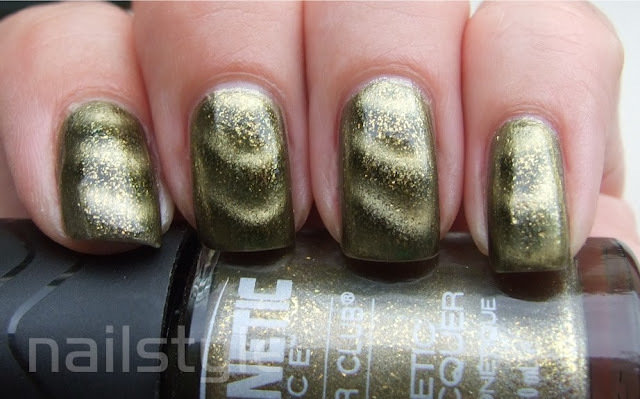 This is also my first experience with magnetic polish. 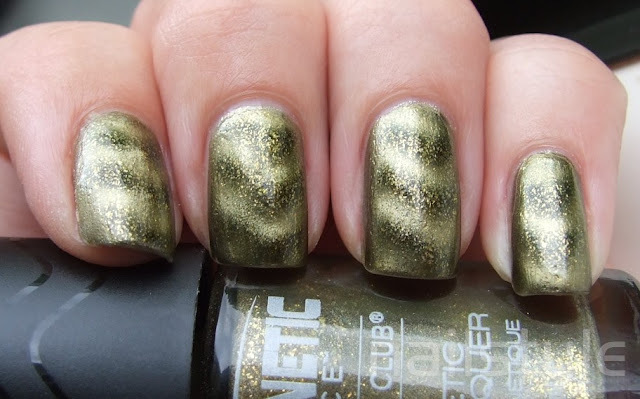 I couldn't be happier with this golden green shimmer. 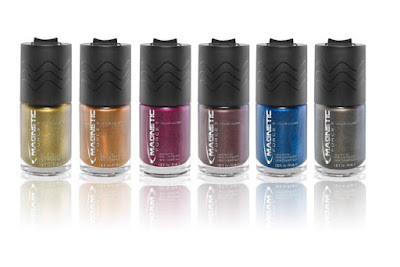 It's not unlike Cult Nails In a Trance except Sci-Fi has large glitter chunks and the formula is a lot thicker - plus of course it has these amazing magnetic qualities! So here's the bottle shot . . . The lid slips off to reveal the actual brush lid. The top of the outer cap houses the magnet which has a small lip to position the cap over the wet polish on your nail. This magnet is what produces the wavy effect. It's a very simple process and easily corrected by adding another thin coat of polish and repositioning the magnet. 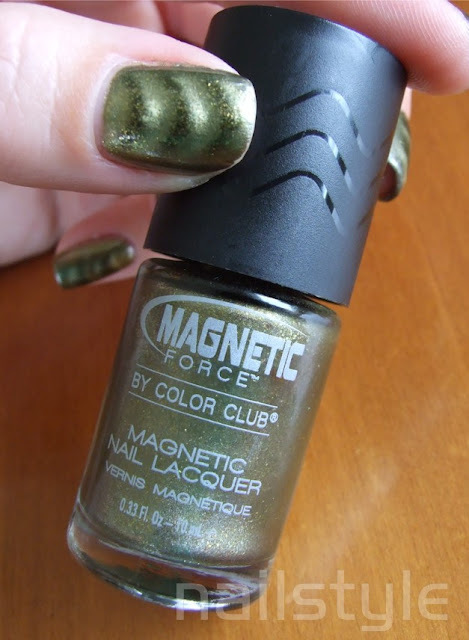 The little lip ensures the magnet is just the right distance away from the polish on your nail, although care has to be taken to ensure you don't touch the magnet to the wet polish. 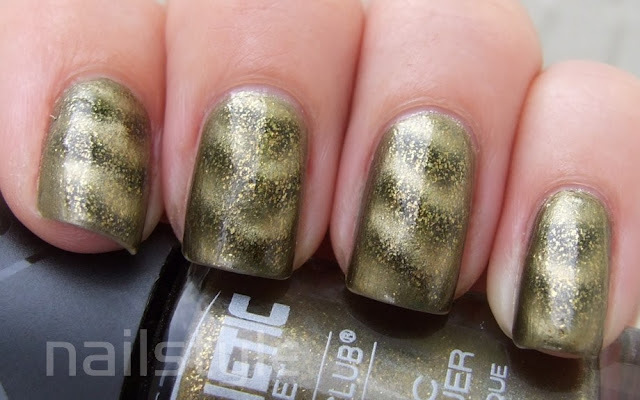 Just hold the magnet still for 15 seconds and the pattern is revealed. And this is the effect you get! I'm looking forward to trying the other colours in this collection. Please see here for info on the rest of the collection. This polish was kindly sent to me by Color Club NZ and will be available online in April 2012. I like how this turned out. I actually seen this at rite aid today, and was thinking of getting it. Now I'm wishing I had it. That's so neat. 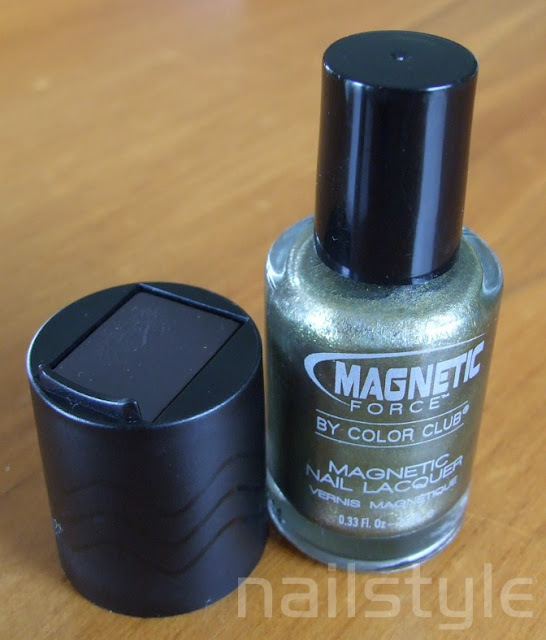 My first magnetic polish is on it's way to me as right now! I'm pretty excited and hope it lives up to my expectations.